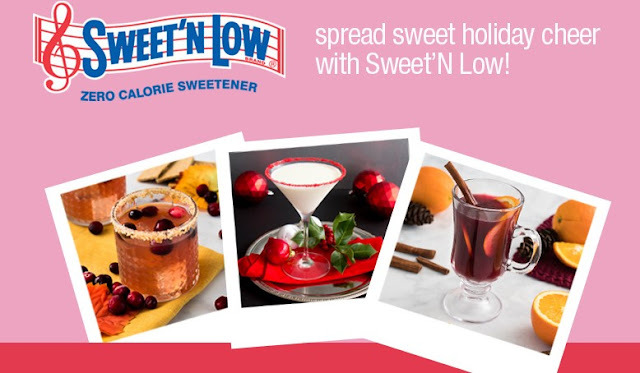 Sweet N Low is spreading Holiday Cheer by giving away sweet daily and weekly prize packages plus a grand prize including a Keurig Coffee machine for you AND a friend! The Grand Prize Includes (Approximate Total Retail Value of $435): - $150 Gift Card - One (1) Year’s Supply of Sweet’N Low Zero Calorie Sweetener (Twelve 100-Count Packet Boxes) -One Keurig Brewing System -One Keurig 2.0 Storage Draw - One Pair of Sweet’N Low Headphones - Four Sweet’N Low Recipe Cards - Five Sweet’N Low Coasters - One Sweet’N Low Travel Mug -Two Sweet’N Low Martini Glasses - One Sweet’N Low Cocktail Shaker - One Sweet’N Low Water Bottle -One Sweet’N Low Tote Bag -Assorted Holiday Coffee K-Cups. Each Daily Prize Includes (Approximate Total Retail Value of $9): -One Sweet’N Low Travel Mug -Two Sweet’N Low Samples (2 Packets Per Sample). This Sweepstakes ends on 12/23/17 and you can ENTER ONCE to win.